The pace of processing at Bathurst Resources’ Takitimu mine site in Southland is frenetic. It’s no wonder the company places a lot of value in reliable machinery and – even more so – excellent back-up support. Down the end of a side-road near Nightcaps – a small Southland settlement well off the beaten track, whose main claim to fame is being a small Southland settlement well off the beaten track – is Bathurst Resources’ Takitimu Mine site. It’s a distinctly different world to the sleepy hamlet it sits alongside; head through the gates and the place is bustling with all manner of machinery, most of it supplied by Porter Equipment and Porter Hire. 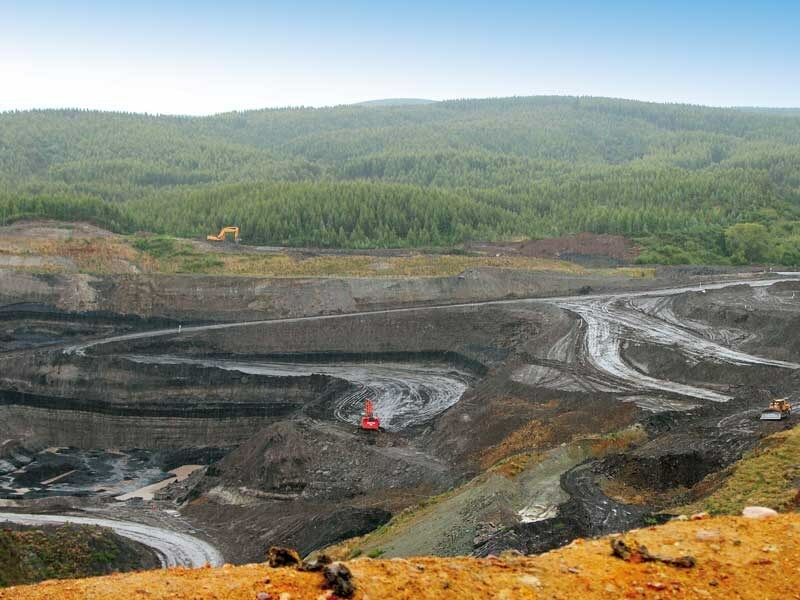 Coal mining has taken place on this site in some shape or form since the 1880s, although today’s fully mechanised operation would be absolutely alien to the founders of the site. Despite it being the middle of summer, the place is a quagmire today after 24 hours of rain; maintenance manager Marty Knowles’ Hilux slithers us around the separated light vehicle access roads, working hard from the moment we leave the groomed gravel outside the site office. I can only imagine what it would have been like to mine the terrain in the grip of an early 20th Century winter. As to the gear used at Takitimu, the common theme is "big". Everything is supersized here; from massive Hyundai R800LC-9 excavators working the brow of a hill, to the new Sandvik QA451 triple decked Doublescreen (the biggest mobile tracked screen the Swedish manufacturer makes), to the enormous ADTs rolling backwards and forwards, taking coal from the face to be processed. 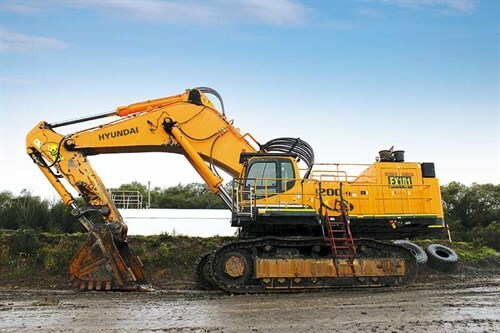 We come across a Hyundai R235LCR-9 excavator at one point. The 23-tonner would be a sizeable bit of kit in most other operations, but Knowles addresses it as a "mini digger"… which it sort of is around these parts. 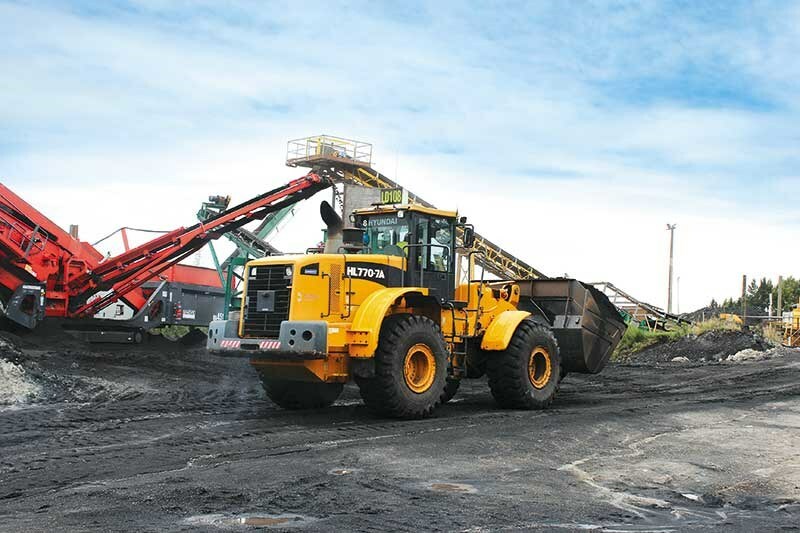 As Knowles explains, a change in the way the Takitimu mine is operated has seen the amount of Porter-supplied equipment increase here over the last 18 months. "Originally Bathurst Resources operated this site in conjunction with an external contractor; they completed the stripping while we were fully engaged in the processing. When they vacated, leaving us to run the place solo, it was at that point we brought in more Porter-sourced gear. "We hired equipment initially and Porter Hire was absolutely brilliant at finding what we needed and getting it here in a hurry. They sourced gear from around the country and overseas and kept us operating during the transitional phase." Knowles says that while Bathurst Resources like to own their equipment, the hire process is a natural way for suppliers such as Porters to demonstrate both the capabilities of the machines they distribute, as well as their back-up service. It’s the latter, he says, which really gives Porter Equipment the edge. "They can be here in an instant, which is ideal for us. We have to structure our mechanical availability and utilisation very carefully. Porter Equipment offers 500-hour servicing, which helps with this. They also ensure we have a good supply of consumables on hand at the site." 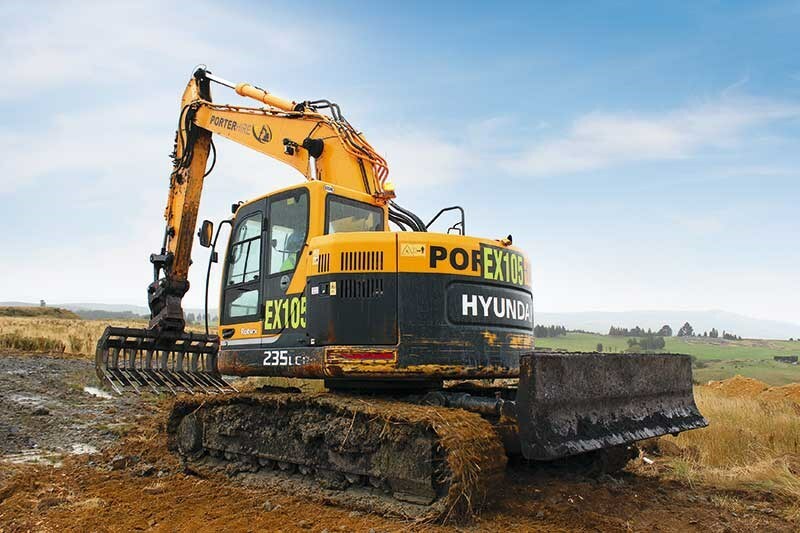 Knowles says that all excavators and wheel loaders supplied to Bathurst Resources are ‘mine spec’ machines, meaning they arrive with e-stops, double isolators for both the starter and battery, flashing beacons, hand rails on all operator surfaces above two metres and Hardox protected buckets. "All we need to do when the machine arrives is fit our RTs and stickers and we’re away. This is another aspect to our relationship with Porter Equipment that we value; they really understand that time is of the essence." The distributor’s ability to trouble-shoot solutions on-site is also a key attribute for Knowles and his team. 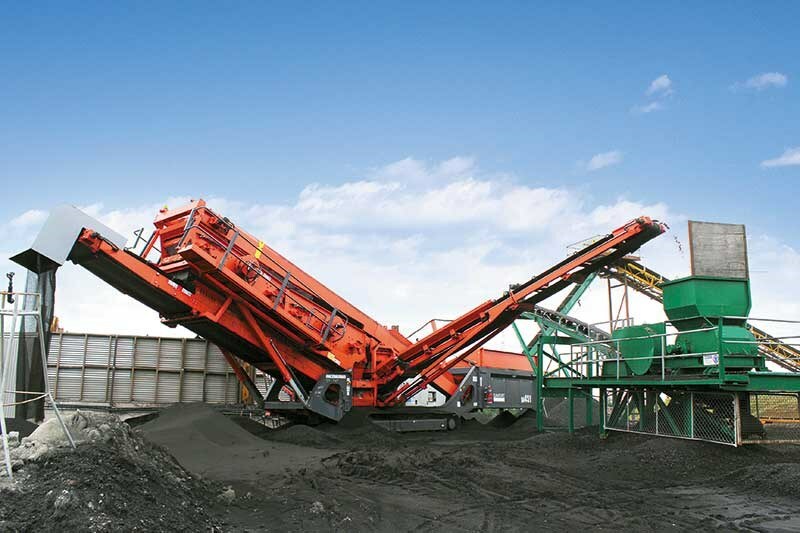 Recently, with the arrival of the mighty Sandvik QA451, the weight differences between standard gravel and coal – the product being processed at Takitimu – meant the machine needed recalibrating accordingly. "Because gravel weighs twice as much as coal, the screens were really shaking while we were processing. But we worked with Porters to find a solution; we took some weight out of the shaft to ensure the throw was a bit milder for the lighter product and now it’s doing what we need it to do. 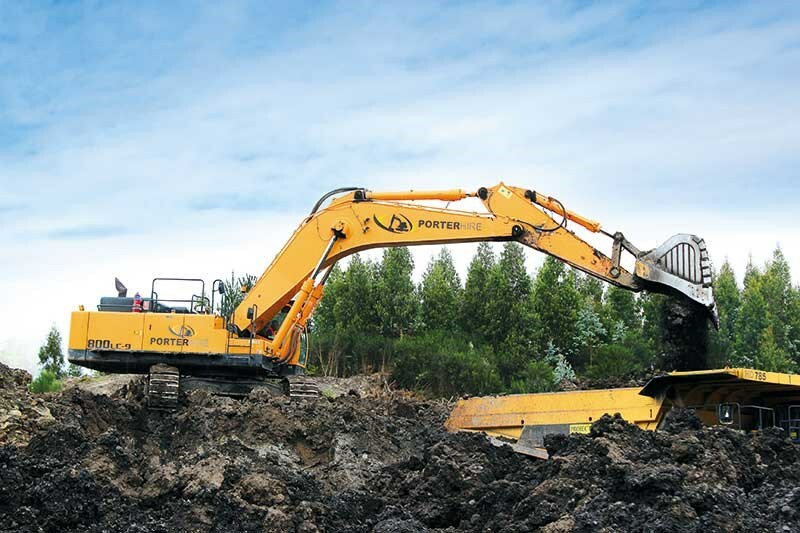 "Having a good relationship with Porter Equipment’s service guys meant that we could find a solution and get on with the job as simply as possible." Knowles says the mobile nature of the Sandvik QA451 means it will provide rapid processing ability in the years ahead as the mine continues its growth into other areas of the site. While rehab work takes place in one sector, a new sector – Black Diamond – will be opening up in the months ahead. Watching the frenetic energy of the place and the 50-odd staff who work here, it’s no surprise to learn that Bathurst Resources’ Takitimu Mine produces around 250,000 tonne of coal, plus overburden. It’s also no surprise that in his role as maintenance manager, Knowles is adamant good machinery and good support are vital to keep the operation running smoothly. "I’ll be absolutely honest; we shop around when it comes to machinery. We’re not blinded by one brand; we have to get the gear that gives us the best through-put for the best price. "But in saying that, we are very impressed with Hyundai and Sandvik. And even more so, we value the relationship we have with the Porter Group. A machine’s a machine, but good service is the part of the process that takes the most effort after all."